Are we allowed optimism now? The nation awoke on Monday to the good news from the CBI that the economy 'has started to gain momentum'. One could forgive small business owners for receiving this news with a degree of cynicism. This is not the first time the economic recovery has been imminent, but it has failed to materialise. But this time it feels as though someone has cranked up the volume on the economic recovery forecasts. In the past week, we've heard promise of renewed growth from the Bank of England; the British Retail Consortium has been talking of a greater degree of optimism; we've received confirmation the eurozone's protracted recession is finally over and we're expecting data from the Office for National Statistics to verify that the pace of economic growth had already doubled in Q2 of this year. While each announcement has been tempered by media-trained spokespeople, with a warning that we're not out of the woods yet, it is tempting for small business owners to feel optimistic. The CBI's predicted 7.3 per cent increase in business investment and the recovery of the eurozone should translate into opportunities for growth that we haven't seen in more than five years. For most small businesses it's too early for a bold response, but the most intrepid will take these announcements as the green light to start hiring ahead, investing in marketing and contacting their banks about future lending requirements. In the SME-driven PR industry (in which more than 92 per cent of firms employ fewer than 50 people, according to LinkedIn), once the frenzy of reactive opportunities for recovery-oriented news angles has dissipated we'll be looking with relief towards our own growth prospects. Despite all that recession-proof machismo, our industry has been traumatised by the past few years. We'll all be looking forward to a new era, in which lessons learned about lean campaign planning and delivery can be applied under growing budgets. But we need to ensure growth is sustainable by making better use of the burgeoning contract and flexible workforce and maintaining our new focus on measurement, to continue to justify our seat at the boardroom table. 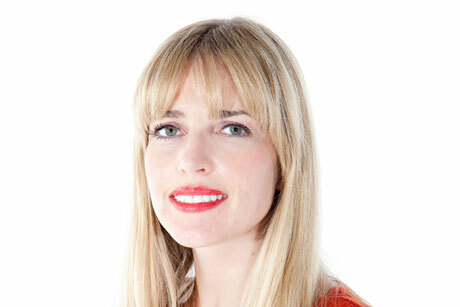 Heather Baker is UK comms chair of the Entrepreneurs' Organization and MD of TopLine Communications.